Thanx Martin! ; Been there! Trying to broaden my research! David. 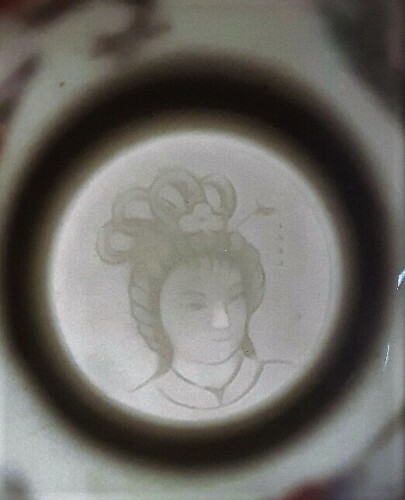 True ceramic lithophane images are created by making a three-dimensional impression in the wet biscuit surface before the glaze is applied and the item is vitrified by kiln-firing. When the finished object is backlit by a light source, an image realistic enough to draw a few oohs and aahs results. 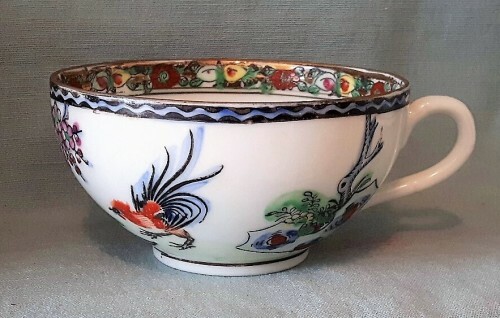 Barring other unseen evidence to the contrary, it appears to me that the image in this case may have simply been applied by decal or stamp to the base of the cup and glazed over before the decorated cup was fired, leaving a flat image that doesn't quite have the same "leap-out at you" moment for back-lit viewers. 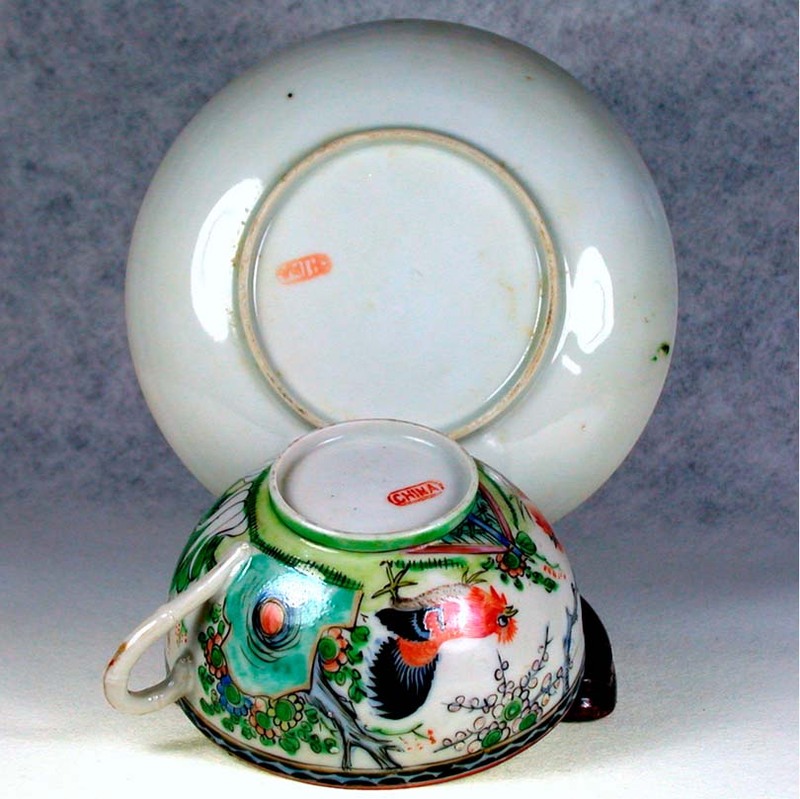 If these pieces are rare, as the UK collection seems to indicate, it may just be because the idea never quite caught on. 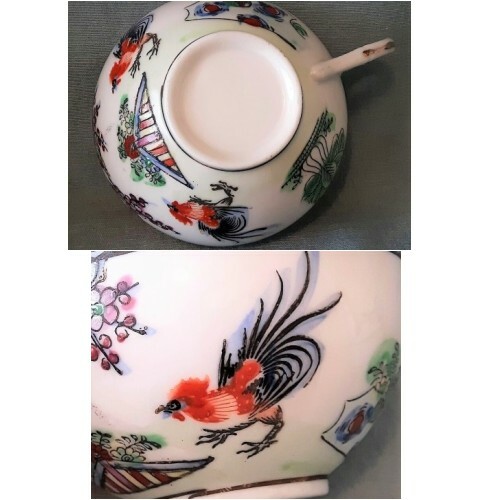 Whatever the case, this cup is a later transfer-decorated version of the popular and hand-painted Chinese "Rooster & Bridge" porcelain pattern, issued in the 1920s-30s of the Republic Period. I've added some pictures below. Note the bridge is painted blue. Later versions, including those transfer-decorated, had yellow bridges. 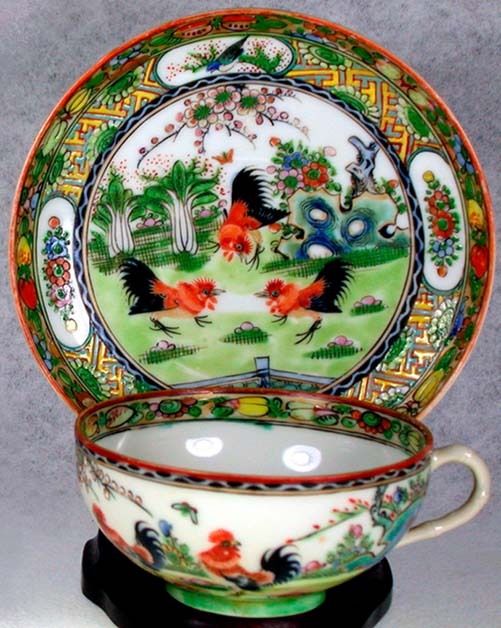 But back to the question at hand, I believe I've seen the the hair style of the figure in the cup on some depictions of Chinese female celestials but am unsure if that's the accepted standard image, or a case of art simply reflecting period norms. Thanx once again Bill H! David.